The way we work has been changing rapidly, with companies and teams more geographically distributed than ever before. This is a story of how an innovative Employee Resource Group (ERG) was born out of personal need and passion. ORBIT is the ERG that leads capability development and skills training for virtual teams and helps influence the IT and HR strategies for The Clorox Company. In 2010, it was a coincidence that I and Sacha Connor were both marketing leaders who were relocating away from Clorox’s Oakland, California, headquarters for personal reasons — Sacha to Philadelphia and I to San Diego. At the time, working remotely in the marketing function was unheard of. But due to our tenure and positive performance track record, senior leaders gave us the opportunity to be a remote work experiment for the function. After our moves, we started to connect with each other periodically to share tips and tricks on how to successfully lead teams and work in a truly remote environment. Back then, our communication tools were limited to phone and Instant Messaging. These sharing sessions soon expanded to include other remote Clorox employees from different corporate functions located across the U.S. 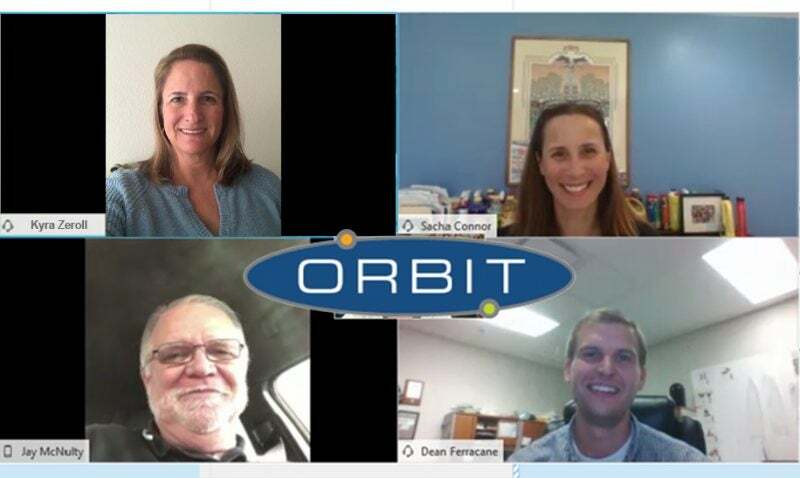 In 2013, our group became official: ORBIT, The Clorox Company’s virtual workforce employee resource group. Today, we are the company’s largest ERG with 750 members (and growing) representing 21 countries and 55 locations. Initially, ORBIT targeted employees who worked from home as members. However, soon after launch, we realized that membership growth was actually coming from employees who worked at different Clorox hubs, including the Oakland headquarters. IT Influence: ORBIT’s leadership and member community are an integral component of the company’s IT strategic plan. Our executive sponsor is the company’s chief information officer, Jay McNulty. We have leveraged this connection to influence technology choices, pilot new platforms before rollout, and assist with training employees on how to use new tools. Recently, ORBIT provided test users for new virtual collaboration platforms and was a key resource to lead corporate training on the selected platform. The IT department values ORBIT because our members are early adopters of technology and ways of working in a virtual environment. ORBIT members have a vested interest as well because without the right virtual tools, we are disconnected from our day-to-day teams. HR Partnership: ORBIT is well integrated with the HR function through our HR sponsor, Lori Galati Aguiar, and HR representation on committees. This has helped us advance awareness of virtual employee needs, including virtual training and incorporating virtual leadership skill sets into the broader employee development framework. When ORBIT was founded, very little functional training was available virtually. Remote workers typically traveled to Clorox headquarters for training, which was costly and time-consuming. Now, the majority of corporate training is available virtually. ORBIT is viewed as a valuable resource to regional HR teams. When one of the company’s Latin American business units went through a reorganization that consolidated operations in three countries into one geographically dispersed business unit, the new leadership team reached out to us to teach them the skills and technology tools needed to effectively work together. We have also contributed to the company’s Inclusion & Diversity impact. In 2017, Clorox implemented a program to generate awareness of how unconscious bias can influence decision making. HR turned to ORBIT to develop specific strategies to mitigate Distance bias — the brain’s natural tendency to put more value on people and projects that are closer in proximity or time. This bias can especially become a problem for teams and/or managers who are not co-located with teammates or direct reports. Building ORBIT has been a great and personally rewarding journey for us. We were able to turn that initial remote work experiment into long-term, virtual careers. We have been able to impact the way work gets done across distance at Clorox, opening the doors to many other remote workers in Marketing and other functions. We continue to work with our dedicated ERG leadership team and senior Clorox leaders to prepare the company for what’s next in the Future of Work. Be sure to check out our case study that is featured in Diversity Best Practices’ ERG Leadership Handbook.